B rianne supports many causes on the National front, in her hometown(s) of Oakville and St. Catharines, and in the local communities where she plays. Giving back to youth, the underprivileged and the disadvantaged has been a hallmark for Brianne, and she prioritizes the importance of this service despite the rigors of full-time training and studies. 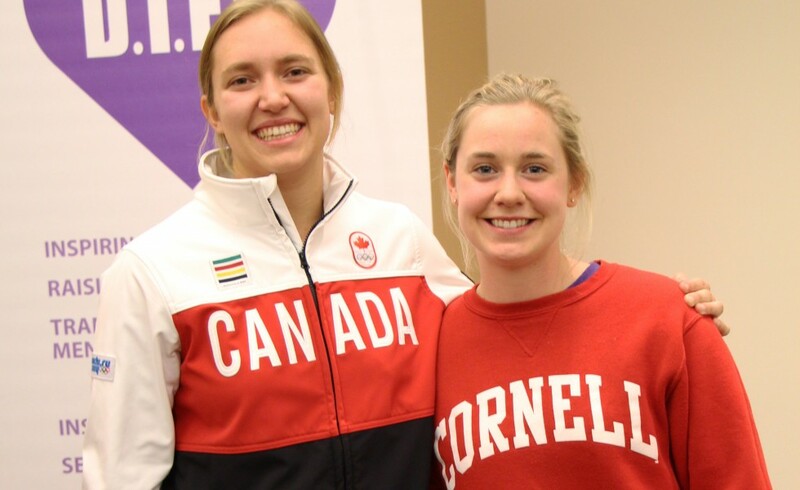 Brianne has a special interest in furthering Mental Health initiatives, as evidenced in her position as an Official Mentor for the ‘Start the Spark’ campaign, and in her support for the Canada-wide “Do it for Daron” awareness program. 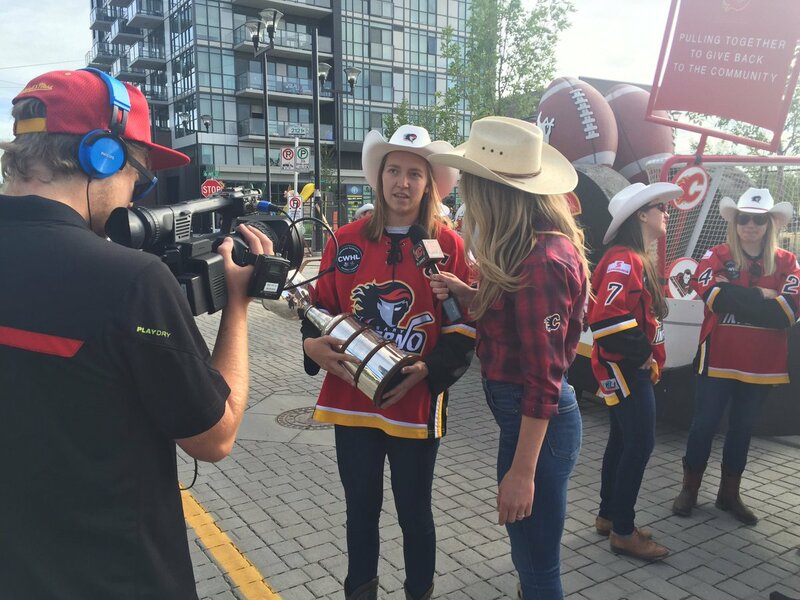 Brianne has experience in tailoring appropriate messages to Sports teams, School Groups, Corporate events and Community events. Brianne is able to call on very real experiences ranging from big emotional and physical setbacks to the elation of a Gold Medal, the value of true commitment, adhering to training principles, and appreciating others. 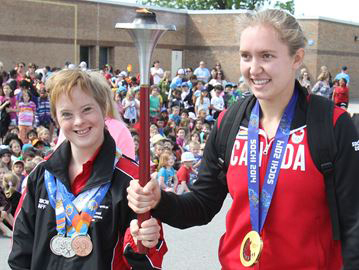 Attending several Fundraising events as a Guest Speaker, and serving as a Social Media Ambassador and a designated ‘Nike Athlete’ are some of the ways in which Brianne makes a difference. Testimonials speak to a modest and engaging approach that allows Brianne to support any cause. 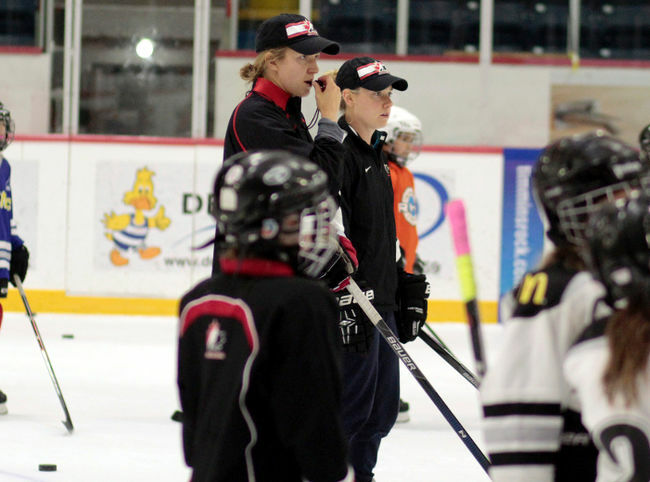 Besides operating her own hockey school, Brianne has conducted many clinics and ‘guest practices’ for both girls and boys teams at many levels, from Alberta to Ontario to Iqaluit!